Lockey Keyless Mechanical Digital Key Safe Lock Box has a removable front cover from a back box by means of entering a combination. 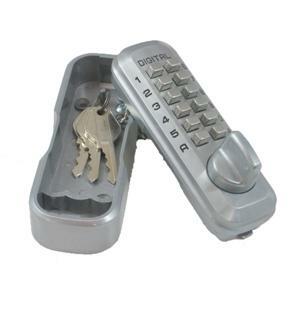 This lock is an ideal secure solution for the control of keys, at all times aware of where the keys have been placed. It allows only people with the correct code to gain access to the key or keys by entering the combination. Finishes available: Satin Nickel, Jet Black, White and Marine Grade.